Elite Graphics LLC is a Local Print Shop that understands that the scope of your printing needs may vary and that helping Local Businesses is very important. Whether you are printing T-Shirts, black and white four-color process items, pocket folders, brochures, or printing banners Elite Graphics has it all and even more. Elite Graphics LLC gives the bluegrass a new meaning to professional custom printing services. We’ve built our reputation on recognizing that no matter what your printing needs are, our responsibility is to get the job done with the highest quality, in the shortest time frame, within a “better than competitive print cost”. We think that being the biggest doesn’t always mean being the best. That’s why we’ve chosen to run our company and work at this business like a family alongside several other local businesses. There are only a few of us – the Elite few, some say – and we’re dedicated to making whatever print materials or specialty items you need our highest priority. Elite recognizes that you have more at stake during your business day than just your print service needs. While our printing services are the most important projects to us, you may not have time to follow them through the step-by-step process. That’s where our "Elite" staff comes in. Our goal is to work with you to develop timelines and approval processes that get your printing materials to you with ease the first time around. We are experts at handling all of details and different aspects of your individual printing needs. We’re not afraid to ask questions and strive to help you find solutions to any printing or design problems. You can feel confident leaving the printing to us while you go on with the rest of your busy day. Elite prides itself in offering the fastest and most reliable custom printing services as possible to its clients. “We needed it yesterday” is a phrase we often hear and we understand that timelines are sometimes unpredictable and hard to follow. Which comes in handy when ordering from a Local Print Shop that is near you! We make every effort to establish reasonable deadlines while providing the highest quality print materials. If you’re looking for printing that doesn’t end up costing you more just because you needed it yesterday, look to Elite. 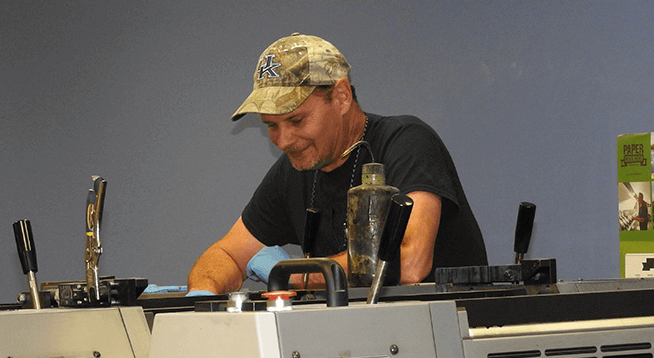 Elite Graphics LLC has been serving the Lexington, Kentucky area for close to 25 years and we know that being a Local Business and a Local Print Shop is very important. We are a small team which strives for the upmost in customer service. We believe that being a Local Kentucky Print Shop is part of what makes Elite Graphics LLC your trusted Local Print Shop of the Bluegrass. "Elite Graphics LLC has proven to be both a reliable and innovative business partner over the past 7 years. Dave and his team have a very unique ability to personalize products and services to level that is often not seen in business today. 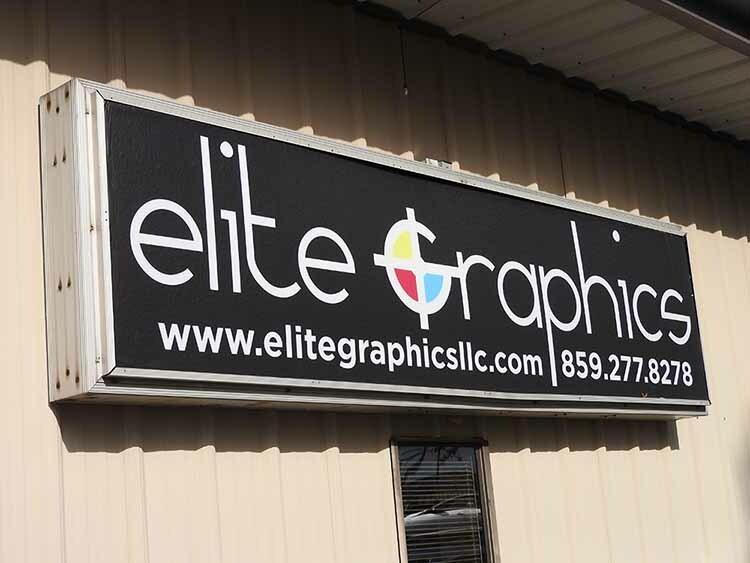 From Fortune 100 to Small Business, Elite Graphics is a valued asset in our local community. The Elite team is loyal, generous and positive; exactly what we look for in long term partners. " "I met Dave in 2011, a few years after I started my consulting company ! I found Dave to be accommodating , to me and all my clients , he went out of his way to expedite the jobs on time and on budget . One of the few print companies that personalize's his approach , he is always available to help and he stands by his work. I would recommend Dave for any size project." "This is a huge help, thanks so much. I’m forwarding your contact info to our main office manager/admin and also the accounting department with a huge recommendation, I hope we can do more business." Local guy, locally owned. The best at getting our printing needs, YESTERDAY. Elite Graphics LLC is always willing to work with us on price and payment options. Fairness, quality, and price are why we've used Elite Graphics LLC for over 15+ years. "Thank you for all your help! We couldn't have done it without you! Thanks so much!" Give Back to The Community and Check Out Who We Sponsor Locally!